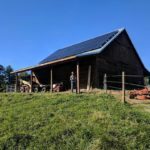 November 2018 | SolFarm Solar Co. There is a lot to consider when making the decision to put a solar energy system on your home- upfront financial costs, tree shading on your roof, your home’s roof orientation (North/South, East/West), and environmental benefits- but HOA regulations should not have to be a factor. 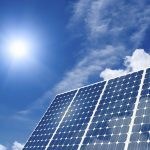 When initially talking to people considering solar power, they are often worried that their HOA will not allow anyone in the neighborhood to install solar panels and that is, by law, false. 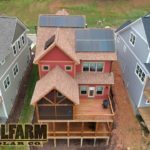 According to North Carolina Senate Bill 670, there are solar access laws that give the homeowner power over local ordinances to “utilize solar radiation” as energy on their “detached single-family residence” homes. Occasionally homeowners associations will ask that a solar array not be visible from a road or common area of a neighborhood. If the orientation they request is “preventing reasonable use” of the solar panels, this is an illegal request. 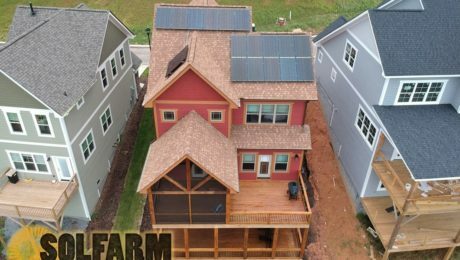 For example, if an HOA asks you to put the solar array on the back of your home which happens to be in a shaded or north-facing area, you are by law allowed to still install a solar energy system on the front side of your roof. It is illegal for the price to be driven up “beyond the financial means” of homeowners, which would result from an under-producing system. If you are interested in installing solar panels on your home and believe you are under HOA restrictions, please contact us to start a conversation with our knowledgeable staff. Although we know the law is on our side, our first step is to talk tactfully and kindly with your homeowners association and neighbors to ensure your access to clean energy production. For more details, and all legal verbiage, please review the bill here. 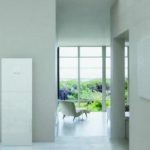 Similar to the rebate that Duke Energy is offering locally here in North Carolina to its customers for the installation of solar energy, the Southern Australian government has just announced a $70M subsidy for residential battery systems. 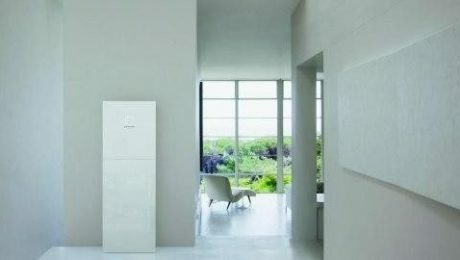 Currently, batteries are by far the most expensive aspect of a solar energy system but are not necessary components unless your goal is to be completely off-grid or have sustainable backup power during power outages. Adding batteries to a solar energy system can tack on an additional $10,000 or more, but this subsidy would offer up to $6,000 back to homeowners; making batteries a more realistic option. The goal of the battery subsidy is to provide 40,000 households with energy storage systems to reduce peak hour energy usage. Removing this large of a load from the grid will drastically reduce demand of traditional energy power plants thus lowering the cost of energy for every customer. For traditional energy sources, such as coal fired power plants, it is very costly to ramp up production to meet peak demands. Unexpected peak demands are worse in that, in some cases, it may take hours for a plant to drastically increase production to meet an unplanned, sudden demand. Unexpected peak demands can cause blackouts (loss of power) and brownouts (low voltage) in the event that the power plant cannot meet the sudden increase in load. 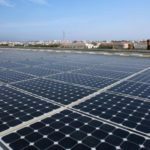 Hopefully we can expect more clean energy incentives such as this in the US as we see the positive implications they have had in other progressive countries. Interested in a free quote for battery backup power for your home or business? Give us a call! Click Here for more information and original article.